Outside of the I.D. concept vehicles, we finally have a clear view of a 2020 Volkswagen model. That would be the redesigned 2020 Volkswagen Passat which premiered on Monday, January 14, 2019, at the North American International Auto Show in Detroit, Michigan. So, what’s all new with the redesigned Passat midsize sedan? As will be obvious to many Volkswagen aficionados, the new look of the 2020 Volkswagen Passat was heavily influenced by the redesigned 2019 Volkswagen Jetta from last year. While not being home to quite as many substantial changes as the 2018 to 2019 VW Jetta, the 2019 to 2020 VW Passat still has plenty of ways to impress its audience. So, from what we know so far, let’s take a gander at the revitalized 2020 Volkswagen Passat midsize sedan. For more information about the 2020 Volkswagen Passat redesign, please feel free to check out our blog for related articles or to contact us if you have any further questions. The staff of J. Bertolet Volkswagen can be reached online, by phone, or in person. 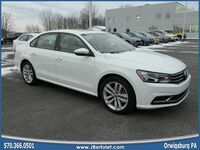 If you want, we can even reserve a 2020 VW Passat model for you for the summer! 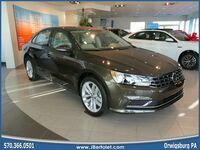 The J. Bertolet VW dealership is located in Orwigsburg, Pennsylvania within Schuylkill County.